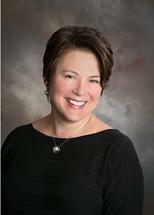 Roslyn Sireci Sackel is a graduate of Duquesne University and the Pace University School of Law. She has practiced law since 1992, focused her practice on workers' compensation since 1996, and co-founded the Sawers & Sackel law firm. Roslyn is the managing partner of the firm and is committed to continuing the shared vision Dan Sawers and she had of creating a law firm that is dedicated exclusively to the representation of hard-working Western New Yorkers who are injured on the job. The firm's single-minded focus on representing injured workers, and not employers or insurance carriers, forms the cornerstone of Roslyn's belief that injured workers deserve the highest level of representation, so that their benefits are vigorously pursued and their rights are protected. Roslyn puts her decades of experience to work each day, to make her belief and vision a reality for Western New York workers. Attorneys serving Buffalo, Hamburg, Niagara Falls, Lewiston, Lockport, Olean, Salamanca, Allegany, Batavia, Jamestown, Dunkirk, Fredonia, Frewsburg, LeRoy, Brockport, Gates, Chili, Spencerport, Erie County, Niagara County, Allegany County, Cattaraugus County and Chautauqua County and all of Western New York.